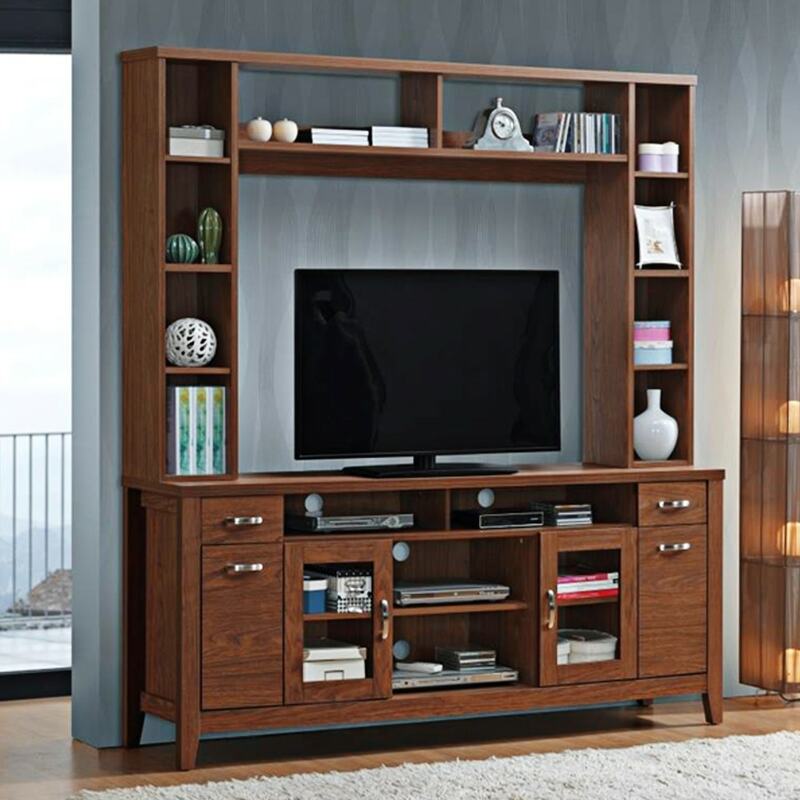 Your television will never look as grand as when it’s proudly displayed in the Madison Engineerwood Wall Unit. Dark brown in colour, this unit accommodates a fifty-inch television set with ease. You’ll love how the high quality MDF and particle board in its rich wooden shades make your living space look more premium. This piece offers more than enough storage for you to neatly organize your decorative showpieces, books and movie collection. Ten spacious shelves above the tabletop provide you with the platform to showcase your finest china or antiques. While below the tabletop, you’ll find easy sliding drawers, cabinets with glass doors and spacious storage shelves. You can choose to buy this piece from our online furniture site, or visit any of our 25 furniture stores across India for the best deals in home furniture.